Head east to the coast from Wellsford, you will find the popular coastal town of Mangawhai. As you approach you will be greeted with wide views out to the ocean, with our trademark Head Rock and glorious Sand Dune in your sights. There is a thriving collection of shops, galleries, cafes and popular local Saturday market. Harcourts has a strong presence in Mangawhai , being one of the most well established and respected companies within the community. Our Sales team are committed to providing Vendors and Purchasers with the upmost honesty and integrity. They along with our Property Management division, pride themselves on being hardworking and experienced with a good, sound local knowledge with listings that encompass the residential home / beach bach to rural lifestyle that is Mangawhai. Covering Mangawhai / Te Arai / Wellsford and surrounding areas, our team are always willing to help. With over 20 years in the Industry, Briar has a wealth of experience in all aspects of Real Estate. Starting first in administration in 1990 then progressing through to sales and obtaining her Branch Managers certificate in 1997. She is currently the Director for the Mangawhai Target Realty Office where her qualities of empathy and tact have greatly contributed to the building of a strong team spirit. Even though technology has changed significantly in the past two decades Briar believes strongly in the back to basics approach. Always being honest, reliable, a good listener and willing to go that extra mile, she believes are the keys to working in Real Estate, creating a rewarding customer experience for all parties. Bruce has delivered quality real estate services for over 14 years in Mangawhai. His passion and local knowledge of the area is a winning combination. You will find Bruce a “straight up kind of guy” who has built a strong reputation delivering service with honesty and integrity to all his clients, coupled with an infectious sense of humor that makes the sales process relaxed for both buyers and sellers. Bruce notches up an array of properties sold, residential homes, sections, lifestyle properties, in fact some of the finest homes in the Mangawhai area. Bruce is a stong community man with a passion for the sea. His love of fishing and diving in Mangawhai is a great way to spend his leisure time. Local knowledge is key- call Bruce for the attention you deserve. Ken is passionate about Mangawhai and passionate about Real Estate. This mixed with a firm belief in delivering a service with absolute honesty and integrity as well as commitment to maintaining high standards, sets him apart from others. Ken has a clear understanding of the Mangawhai Market and can be relied upon for up to date advice and market information. Kens clients all comment on his enthusiasm and his continual high standards and exceptional service, why would you go anywhere else. Mike Woodhead, better known as Woody, is well known in the area as the past owner of the lucky Lotto shop "Woody's Winners." As the past owner of several other successful businesses, Mike has acquired a good knowledge of commercial real estate and having lived and worked in the rural community for 11 years, he is also well suited to the marketing of rural lifestyles, along with residential properties. Keeping things in the family, Mike's wife, Susan, is also a successful salesperson in the Mangawhai Heads office. Mike's enthusiasm for the real estate industry, his honesty and good humour have built up many strong relationships with his clients and he welcomes your enquiries and looks forward to meeting you. Susan Woodhead is a highly experienced Real Estate Sales consultant who has been successfully working to realise the property dreams of buyers and sellers in the Mangawhai area for over 12 years. 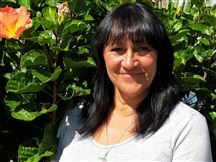 Susan is an active and committed member of the Mangawhai community, having moved to the area with husband Mike and their two children 16 years ago after selling a successful Motel business in Auckland. Real estate sales is not just a job for Susan, it’s a passion that she shares with husband Mike Woodhead, a sales consultant with Harcourts Mangawhai also. An in-depth understanding of all aspects of real estate buying and selling combined with knowledge and passion for the local area, an enviable sales track record, and an unfailing commitment to delivering successful results for her customers, make Susan Woodhead the real estate sales consultant of choice in Mangawhai. I am proud to work in the Reception / Administration role for the Harcourts Mangawhai office, I find it a stimulating, fun office to be involved with and relish the challenges that the industry provides. I strive to provide efficient, courteous, professional service to clients, agents and all who walk through our doors. Having worked for Harcourts for approx. 9 years firstly on a part time basis before going into full time, I look forward to welcoming you into our friendly office. "Let Me Entertain You "
No Covenants in THE HEADS! Family Home or Beach House! Elevated to Capture the Sun! Time To Move On ! At Last The Search is Over! Do you enjoy country life? Charm of Yester - Year! Oozing Charm And Character ! The Good Life Starts Here !